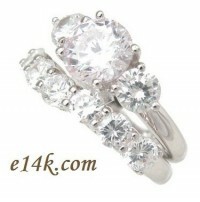 Reproduced with Beautiful, top quality jewelry workmanship! Our Russian CZs are more precisely cut & polished from the finest quality CZs. Making them the Most desirable cubic zirconia stone available!